Yes, the New York Botanical Garden packed in the Hawaiian-themed decor on Thursday night for its annual Conservatory Ball, which celebrated both its “Georgia O’Keeffe: Visions of Hawaii” exhibit as well as Long’s 29-year career with the NYBG. During dinner, Deputy Mayor Alicia Glen officially declared June 7 “Gregory Long Day” in honor of the outgoing garden The William C. Steere Sr. president and chief executive officer. Welcoming guests into the Enid A. Haupt Conservatory — and dinner tent, which had no shortage of palms and Hawaiian-native flora — were ukulele players and hula dancers, who, like the NYBG, are based in the Bronx. “Give it a sniff,” said Sigourney Weaver during cocktail hour, motioning to the fragrant strands of Pikake around her neck. “It’s from Hawaii. [Manaola Yap] sent it this morning so I could wear it with the dress.” Hawaiian designer Yap had created Weaver’s seafoam gown custom for the event, which featured a print based on ancient Hawaiian symbols. That was certainly the case for Maureen Chilton, who donned a floral necklace from event sponsor Graff. “The way I came here was my children,” she said. “We used to come here to the Children’s Adventure Garden, that’s what brought me here,” she added. “It’s easy to get hooked in.” That was over 20 years ago; Chilton has been chairman of the board for nine years. “I think that my enthusiasm for the garden grows more and more each day,” she said. 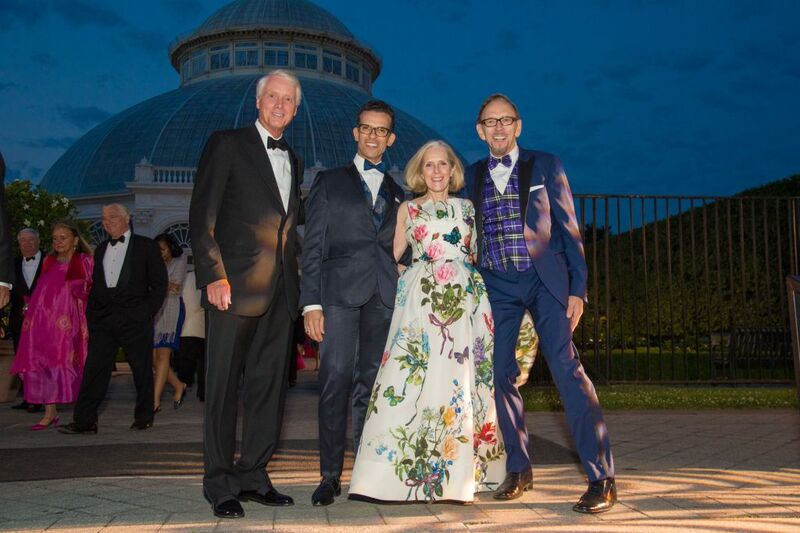 In partnership with Northern Trust, the 2018 Conservatory Ball raised more than $2.4 million to benefit the NYBG’s children’s education, plant research and conservation programs.